At Mobile World Congress held last week we saw Android developers, device makers, and silicon partners bringing us an amazing experiences. 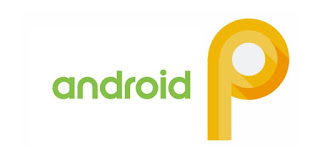 first we saw the first developer preview of Android P, the newest version Android update, called Android P.
According to the community, the first developer preview of Android P is just the start – they reported to share lots more at Google I/O in May. Support for atypical displays, such as the ones with the notch. The Developer Options section now has a setting to simulate cutout displays. The updated operating system will prevent idle background apps from accessing the camera, microphone, and other SensorManager sensors to improve security. with the Android P, backing up data can be better, hence Android now does the encryption on the client device. Thus, the device’s PIN or password is required when restoring backups made on the device. Android P also tries to improve its location detection capabilities by bringing support for Wi-Fi RTT (Round-Trip-Time). The technology allows compatible devices to know a users’ indoor location by measuring the distance from nearby access points. With the multi-camera API, an Android P device can get streams from multiple physical cameras simultaneously. For instance, if a device has dual camera setup, innovative features can be created like seamless zoom, bokeh, stereo vision, etc. Further, Android P now has built-in support for HDR VP9 Profile 2 which will allow users with HDR-compatible devices to enjoy HDR-enabled content in apps like YouTube, Google Play Movies, Netflix, etc. with Android P your apps can take full advantage of the latest device screen displaying fullscreen content. Google has also added a display cutout into their new Android P along with APIs that you can use to manage how your content is displayed. In Android P we also discover an improved visibility and function in notifications. Try the new MessagingStyle notification style — it highlights who is messaging and how you can reply. Android P adds platform support for the IEEE 802.11mc WiFi protocol — also known as WiFi Round-Trip-Time (RTT) — to let you take advantage of indoor positioning in your apps. Andriod P supports nine new ops which includes Pad, BatchToSpaceND, SpaceToBatchND, Transpose, Strided Slice, Mean, Div, Sub, and Squeeze. If you have a Pixel 2 device, the DP1 build now includes an Qualcomm Hexagon HVX driver with acceleration for quantized models. How to download Android P Developer Preview? As always, Android P DP1 is available Google devices including Pixel, Pixel XL, Pixel 2, and Pixel 2 XL. You can download and manually flash the compatible build for your device using this link. Alternatively, you can load the preview build on the Android emulator to taste the new dessert. Unfortunately, Nexus devices have been left out this time. Don’t forget the fact that these builds are intended for developer testing. And therefore, they might be unstable. So, it would wise to install them on a spare device. so When you’re ready, dive into Android P and learn about the many new features and APIs you can take advantage of in your app.